Lamia Beard died at a hospital after being shot in the early morning hours last Saturday, and local media outlets are failing to report accurately on the trans woman's death. 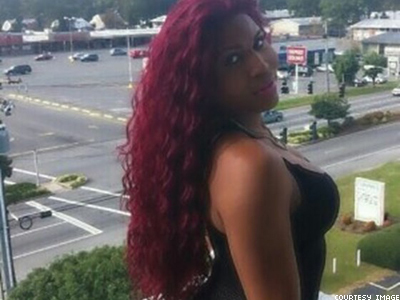 When police in Norfolk, Va., responded to a 911 call at 4 a.m. last Saturday, they found Lamia Beard, a 30-year-old transgender woman of color, on a sidewalk suffering from a gunshot wound. She later died of her injury at a local hospital, according to the National Coalition of Anti-Violence Programs. Beard's death may be related to a second shooting that occured nearby at 6:30 a.m. in which the victim, identified by officials as male, suffered a nonfatal gunshot wound, reports The Virginian-Pilot, a Norfolk newspaper. Police are still investigating both cases. The Virginia Anti-Violence Project has set up a crowdfunding campaign to assist Beard's family with funeral expenses. Donations can be made here. Area residents held an antiviolence march through Norfolk at noon the day of the shootings, reports local TV station WAVY. Community leaders told reporters the gathering drew attention to systemic social issues, like poverty, of which violence is a "symptom," and was especially important the weekend before Martin Luther King Jr. Day was celebrated nationwide. "It's about sending a message to the city that our lives matter," explained Damien Jenkins, a march organizer. It is unclear whether Beard was recognized as a trans woman during the march. As reports have emerged from local media, NCAVP has drawn attention to the fact that reporters have consistently misgendered Beard in discussing her death, while several have reported on irrelevant information regarding her past arrests. Although it is still commonly employed, this approach is counter to journalistic standards endorsed by the Associated Press and GLAAD, which suggest reporters use a transgender person's preferred name and gender identity when reporting on them, especially in instances of violence. Misgendering also makes it harder for readers to acknowledge that Beard's death is part of the epidemic of fatal violence facing trans and gender-nonconforming women in the U.S. and worldwide, particularly trans women of color. Anyone with information related to Beard's death is asked to call the Norfolk Crime Line at 1-888-LOCK-U-UP.